An embattled Belltown favorite, considered a cultural landmark by many, will be put before the Seattle Landmarks Preservation Board in December. 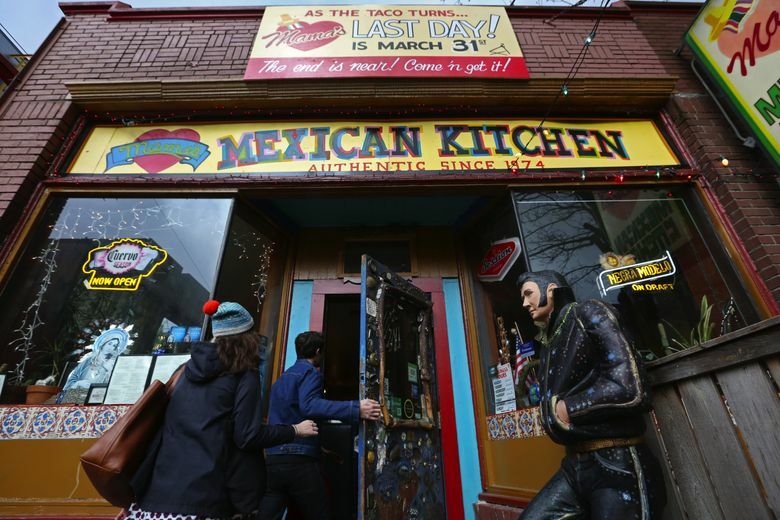 After more than four decades as a Belltown favorite, Mama’s Mexican Kitchen — now, in its more upscale new incarnation, Mama’s Cantina — will be considered by Seattle’s Landmarks Preservation Board for historic status. An emotional outcry met the news that the divey institution was slated to be torn down after it was sold to a Chinese development firm for $4.5 million in the spring of 2015. New ownership brought a temporary reprieve from closure, along with a remodel and new menu including the likes of Korean quesadillas and 40 tequilas and mezcals. The nomination for historic status follows in the footsteps of the neighboring Wayne Apartments, designated a landmark in fall 2015, incidentally saving beloved Belltown bars Shorty’s, Rocco’s and The Lava Lounge. Documents for the Mama’s nomination note that the 1924 one-story brick building at 2234 Second Avenue, while having undergone a number of alterations, is representative of the neighborhood for its era. It was designed by noted local architect George Wellington Stoddard, whose other works include Seattle Memorial Stadium, the Green Lake Aqua Theater, and a 1931 garage at 777 Thomas (designated a Seattle landmark). He was also part of the design team for the Yesler Terrace public housing development in the 1940s. The Seattle Landmarks Preservation Board will consider Mama’s for historic status at a meeting at 3:30 p.m. Wednesday, Dec. 7, in Room L280 at Seattle City Hall. The public is invited to attend and comment.